A good day yesterday at the Beckenham show. 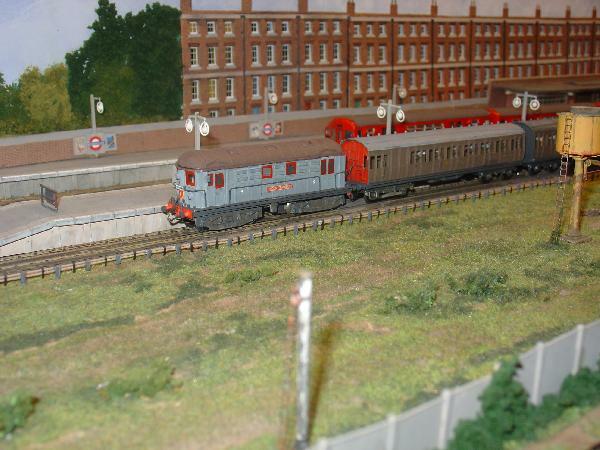 As usual a collection of interesting layouts, ranging from Gauge 1 tinplate to N gauge. Sadly I ran out of space on the camera, so was unable to capture more than a couple of the layouts on show. TT was well represented with three layouts - two are pictured below. 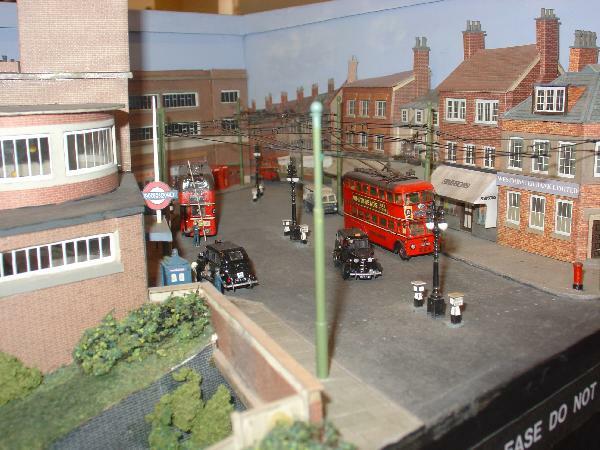 Addison Park, by Paul Kentish, represents the Metropolitan line in the 1950s at an imaginary location in West London, and catches the feel of inner Metroland rather well, with a curving 1930s street frontage to the station, complete with trolleybuses outside in the road. The gauge is 14.2mm as it would otherwise have been impossible to include the inner and outer electrified rails of the prototype. Trolleybuses were part of my early teenage years when we lived in Twickenham. The 601 route used to turn round in the town centre at a spot then known as Twickenham Junction, although not near the railway station - it was the place where the 601s occasionally laid over briefly, so the conductor had to unhitch the trolley poles from the wires, so that other trolleybuses could overtake. This is shown in the model - a nice touch. 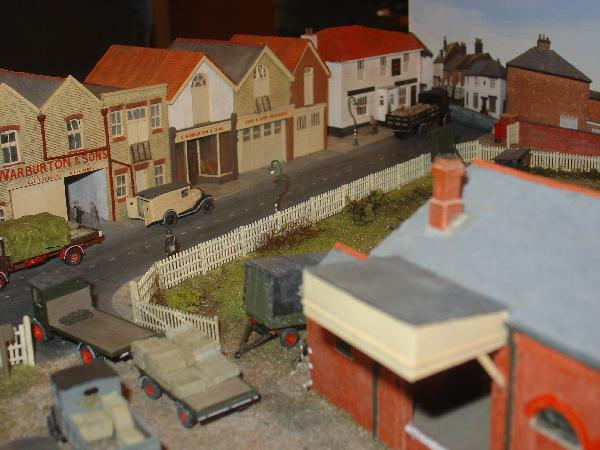 Dating from a slightly earlier period was Bulverhythe, by Peter Bossom, set in the early years of WW2. I do like Peter's street-scapes, done in traditional John Ahern style, with a variety of period street life. 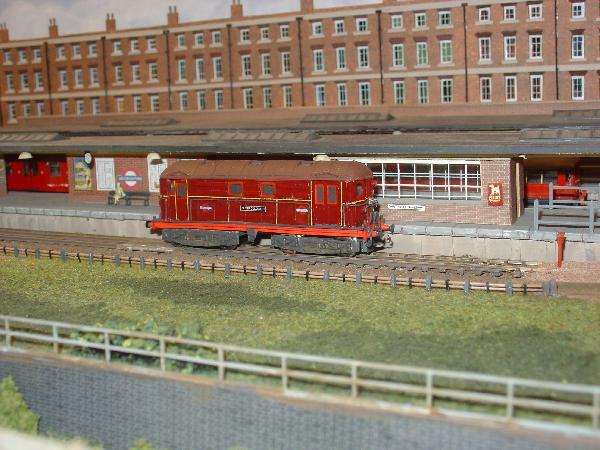 This layout is "traditional" 12mm gauge TT.